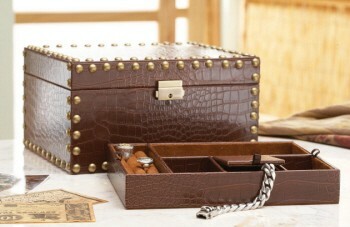 Studded jewelry box with removable tray. Made of faux crocodile skin, finished to give a leather look. Made of polyurethane. Entailing medium dark finish with brass studs.